Home» AP LATEST UPDATES | EDUCATIONAL PORTAL » AP DEd 2nd Year Examination Revised Scheduled From 23/11/2015 to 27/11/2015. 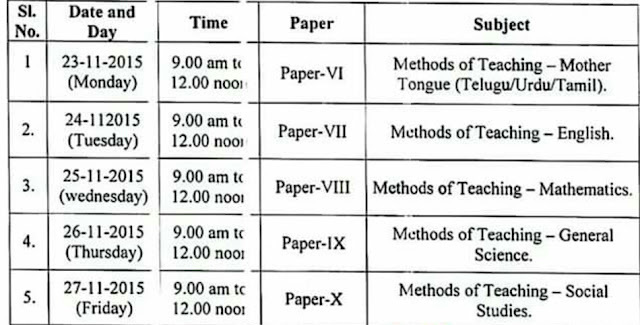 AP DEd 2nd Year Examination Revised Scheduled From 23/11/2015 to 27/11/2015. 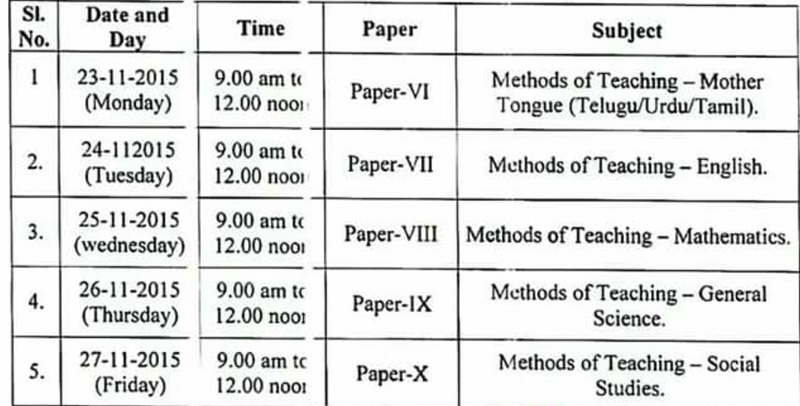 AP DEd 2nd Year Examination Revised Scheduled From 23/11/2015 to 27/11/2015 AS PER RC.No:41/c-1/2015. Dated: 03/11/2015. It is hereby not fied that following is the revised time Table for DEd 2nd year Examinations of 2013 - 2015 Batch and supplementary Examination for failed candidates of previous batches in the state of Andhrapradesh. To the commissioner/ Director of Information & Public relastions (secretory cell) AP, Hyderabad with a Request To arrange Publication of the abou press/Media note in all leading Dailes and Electronic Media under News item for video publication.